The Curry wok has been serving tasty home made food for over 15 years. It is a family run restaurant which was passed down from Cat's Mother-In-Law. 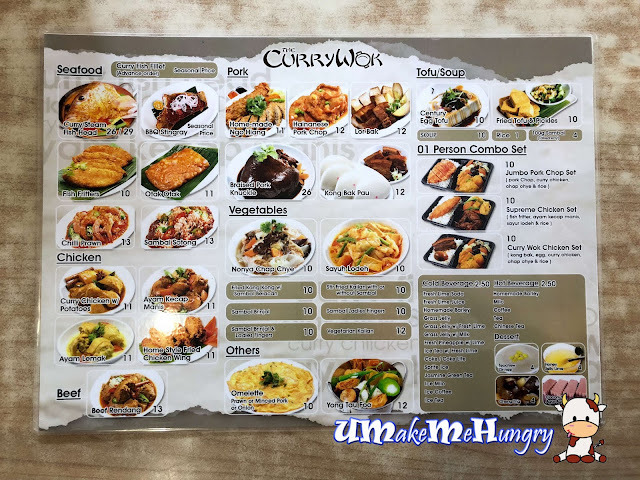 They started the place previously in Tanglin Road with whole family getting involved in preparing the signature dishes for guests. Cat is the current owner of The Curry Wok and is running this place with her hubby. 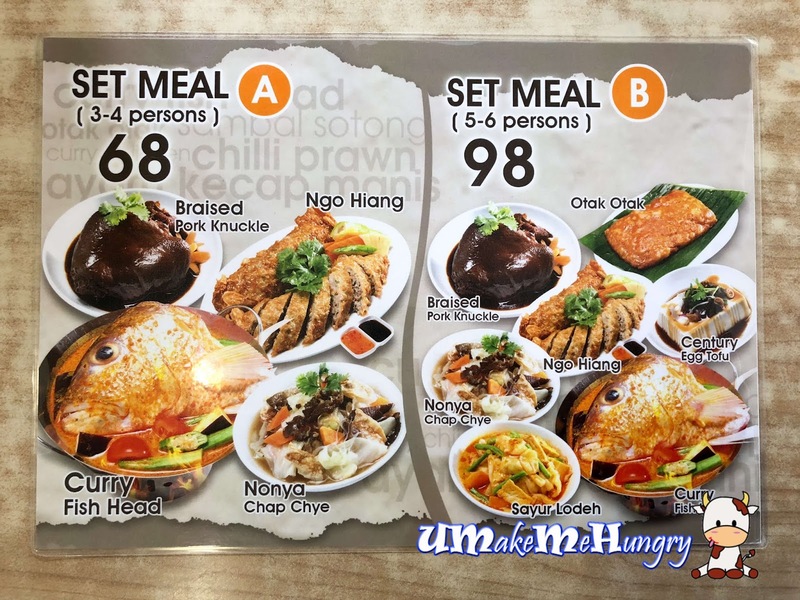 They have been recognized as "'Bukit Timah's Best Culinary" by 8 days. 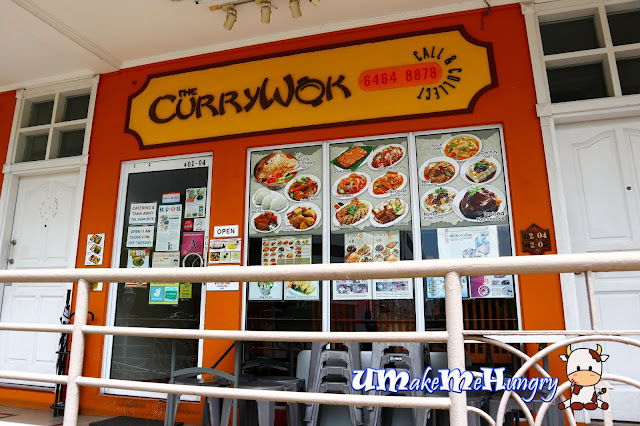 Their Business name sounds spicy and often people mislead that they are only selling spicy dishes but in fact The Curry Wok do have non spicy dishes too. Thanks to the owners who diligently visited the market. These prawns were fresh, deliciously whipped up from the kitchen with chilli, lady's fingers and and onions. 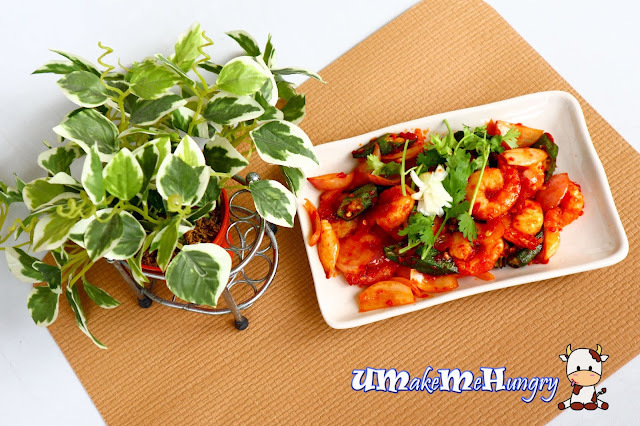 Sambal Sotong cooking style is pretty similar to Chili prawn's ingredients just that the difference of the chilli as well as the seafood used. 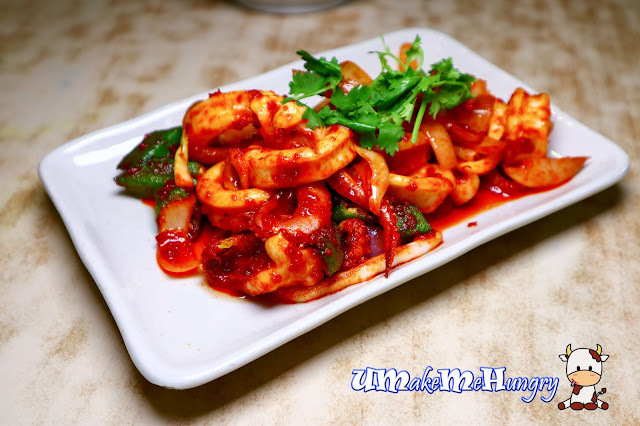 Succulent Sotong rings was smartly paired with the addictive Sambal. A reminisce of home made goodness! Crispy deep fried Ngo Hiang presented in large strips of a combination of minced pork and prawn, accompanied by some Achar. Dab a piece of it into the given sweet sauce and enjoy a its juiciness. Recommended! 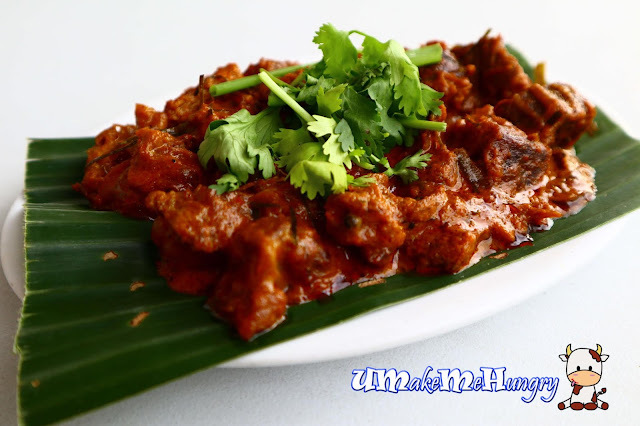 The color and presentation of Beef Rendang was liven up by the used of corinander and banana leaf against the orange brown gravy meat. Great that the they came in bite size portions and tender. Apart from that, Rendang gravy used was sufficient, adequately covering each piece of beef. One of the Nonya Classics, Chap Chye, I cannot do without everytime when I am in a Peranakan Restaurant. 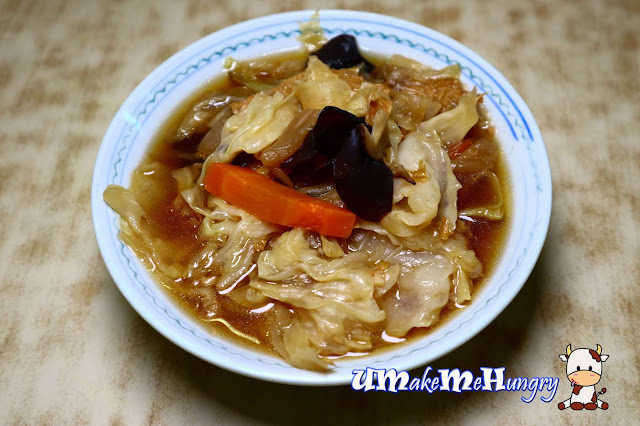 It was well executed with ingredients such as cabbage, bean curd skin, black fungus, mushroom, carrot and cellophane aka "Tang Hoon". Taste was inviting and was not too oily and salty. Even having without pairing is white rice is alright for us. Brinjal & Ladies Finger teamed up well over here. You get the spongy texture from Brinjal as well as the crunchiness from the Ladies fingers with some fiery kick from the Sambal Chilli. 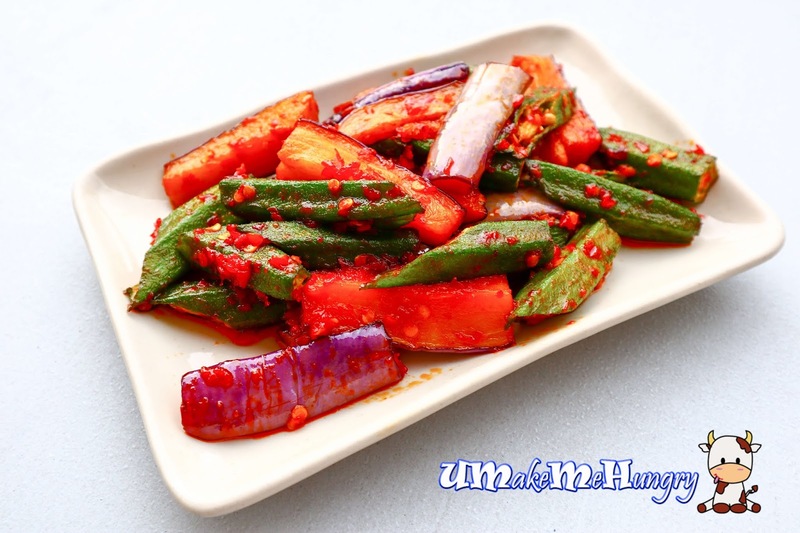 If you love Century Egg and Tofu, you might want to order this simple side dish. 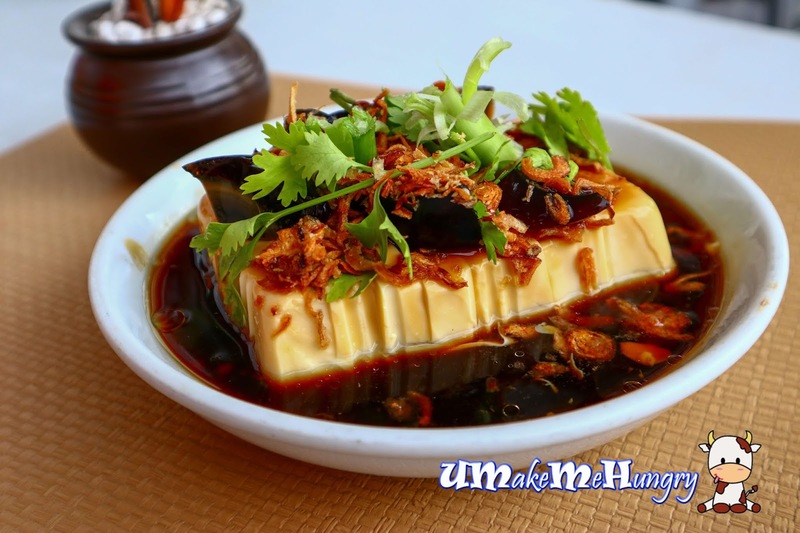 The wobbly Tofu comes in a whole block, topped with slices of Century Egg and generously covered by fried shallots and corriander. It feels refreshing slurpping down the smooth and silky Tofu. 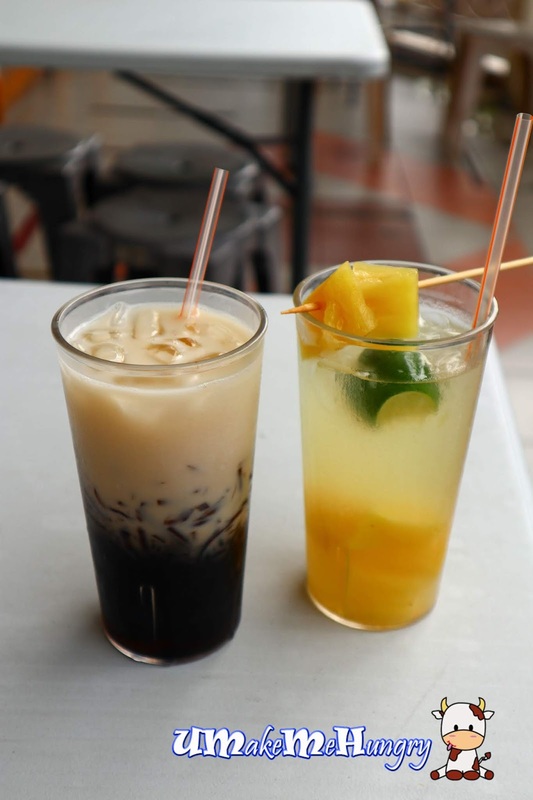 Here are some of our ordered beverages to pair with our dishes. Yearning for some home tasting food? If you are running out of ideas what to have for meal in Bukit Timah Area, you can stop by The Curry Wok and enjoy some true local Peranakan Food. Alternatively, they also provide some combo set for 1 pax bringing convenience to customer who want to eat on the go or even for those who are rushing for time, they can call to preorder and collect later. If you want to collect food without parking the car, you can give them a call at 6464 8878 when you arrive in front of their shop, thereafter they will deliver the food to your car. If you want to collect your food without parking your car, give them a call at 64648878 when you arrive in front of their shop and they will deliver the food to your car. Thanks Shu Ping for the Invite and Cat for the hosting.